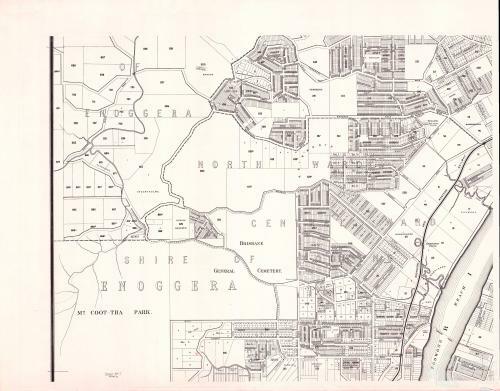 McKellar’s map of Brisbane (1895) | There once was a creek . . . This is Sheet 7 from a series of maps drawn by the government lithographer A.R. McKellar in 1895. This map shows the Milton Reach of the river and the area to the west up to Mount Coot-tha. You would already be familiar with this map’s depiction of Western Creek — it is the one shown at the top of this page and all throughout this website. You can see explore the original version at the Queensland Historical Atlas.